E-commerce is growing by about 23% every year and according to a 2016 report, 51 percent of shoppers preferred to shop online. In fact, nowadays you can get virtually everything you need online, including a Rational Combi Oven. This means that as a retailer, you need to completely embrace e-commerce in order to thrive. In this article, we explore some e-commerce trends to watch for in 2017, which you should take into consideration if you want your online store to be successful. 67% of millennials and 56% of Generation Xers prefer to shop online. These two groups also spend more time shopping online every week compared to their older counterparts. Namely, they spend about six hours each week shopping online, while seniors spend only about 2.5 hours. Conversely, baby boomers spend about four hours weekly shopping online. 48% of millennials have purchased their goods from marketplaces, 46% from web stores, 76% from large retailer websites, and 29% on category-specific online shops. Conversely, 59% of baby boomers have bought their items from marketplaces, 42% from webstores, 74% from large retailer websites, and 39% from category-specific online shops. What about the seniors? 51% of them have shopped on marketplaces, 30% on webstores, 66% at large retailer websites, and 44% at category-specific online stores. Generation Xers can’t go unmentioned. 56% of them get their items from marketplaces, 76% from large retailer sites, 29% from category-specific online stores, and 49% from webstores. In 2016, men spent about 28% more online compared to women. You should realize, however, that both men and women spend about 5 hours each week shopping online. How about the places of shopping? 74% of women have shopped at larger retailer sites, 56% on marketplaces, 40% at category-specific online stores, and 48% on independent boutiques. Conversely, 75% of men get their stuff from large retailer sites, 52% from marketplaces, 39% from web stores, and 31% from category-specific online stores. What Items are Purchased Online? Clothing, shoes, and accessories top the list of items purchased online. Namely, 60% of shoppers have bought these items from large retailers, 45% from webstores, 54% at marketplaces, and 44% from category-specific stores. Computers and electronics take the second spot. 43% of shoppers have bought them from marketplaces, 43% from larger retailer sites, 29% from category-specific, and 17% from webstores. What about books, music, and movies? 55% of online shoppers have bought them from marketplaces, 24% at webstores, 36% at large retailers, and 21% at category-specific stores. Beauty products are also one of the major items purchased online. Namely, 34% of shoppers get their beauty products from marketplaces, 29% at webstores, 31% at large retailers, and 25% from category-specific online stores. It is also worth noting that social media recommendations can also affect your conversion rate as they influence about 25% of online shoppers. You should also realize that 42% of online shoppers get recommendations from trusted friends and family. When it comes to advertising, younger generations are more influenced. In fact, millennials and generation Xers are twice as likely as the seniors to be influenced by advertising. 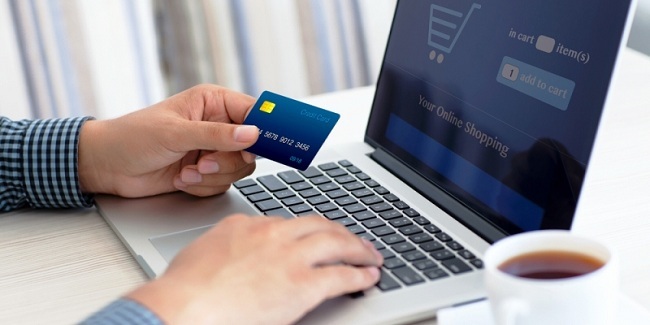 Today, it’s imperative that every entrepreneur embraces digital commerce in order to prosper. In fact, a store without an online presence might not stand the test of time. Moreover, existing online store owners need to stay updated with the current ecommerce trends, as outlined above, in order to ensure business growth. To learn more about the statistics used throughout this article, please feel free to visit the complete Omni-Channel retail report.